Amongst the most common brand names on the used car market is Land Rover. The Defender off-roader is a classic, while the Range Rover models are a prime choice for those who want luxury and practicality wrapped up in a very stylish package. Whichever model you are interested in, there are plenty of used Land Rover cars for sale in Bournemouth at Bournemouth Cars. 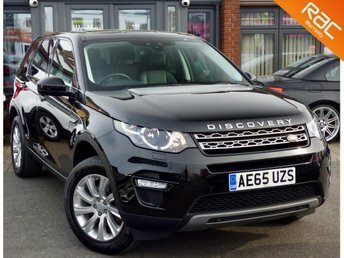 At Bournemouth Cars, we strive to ease to process of buying a used Land Rover car by allowing you to reserve the car you want through our website and we are also able to deliver your new motor to you in Bournemouth. So, for the best deals on used Land Rover cars in Bournemouth, make your way to Bournemouth Cars today!